Announced earlier this month, renewed interest in producing a live action film based on the animated series Robotech has been reported with the team behind the 300 films tackling the project. Bounced around since 2007 when Warner Bros. acquired the film rights with Tobey Maguire set to produce (and perhaps star), the project has repeatedly run into problems with several scripts produced that seemingly have yet to satisfy the studio’s higher-ups (while in 2013 it was revealed Leonardo DiCaprio has shown interest in the film, perhaps in a featured acting role, as he reportedly turned down an opportunity to be in the latest Star Wars film series so he could be available). 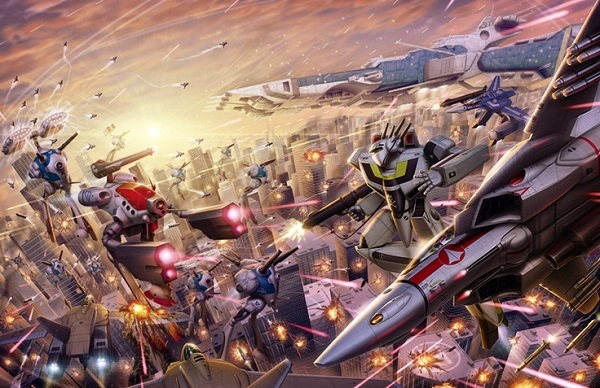 Among the various hit franchises created in the 1980s, Robotech was one that proved extremely successfully and profitable but ended prematurely (in terms of its popularity) due to a number of extraordinary circumstances. Since then, it has repeatedly arisen in various ways with varying degrees of success (most recently, as a tabletop RPG). Lets examine what a Robotech film could entail. 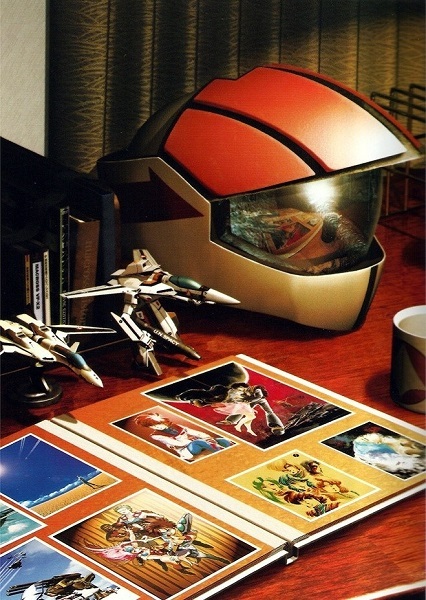 The original Robotech series aired in 1985 but started within the confines of the narrative in 2009 (the television series ending canonically in 2044). Meaning, there existed a difference of almost a quarter of a century between the period it aired and the content of the series. At the time, something like that would be fine because the speed at which technology advanced was such that a few already existing Sci-Fi tropes could accommodate the difference in years. However, what the original series failed to take into account was the exponential explosion of scientific advancement that emerged by the dawn of the next century. 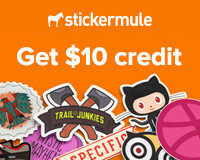 Obviously, the creators couldn’t see into the future to see what the world would have become by 2009 but a modern audience is unlikely to afford such a luxury to an extent. In a very real sense, many elements once considered fictional areas of science are not only becoming reality, but expanding in means behind comprehension only a decade ago. This then offers a significant challenge for the creators: do they set the series twenty five years from today (where at our current rate of growth is almost inconceivable where we’ll be) or drastically cut how far into the future the series is set? The best bet would likely be the latter because we have a fairly good idea where we’ll be in, say, five years from now technology wise. Going in the other direction offers a major risk that to be an acceptable look into the future, some rather incredible educated assumptions would be made which is likely to leave the product fairly unrecognizable to the original content. Consider, Robotech employed payphones, the internet was completely unknown, and despite being based around using highly advanced alien technology, not a single 3D printer (or something similar) was in sight. In a modern setting, this clearly demonstrates an area of importance necessary to be examined. While Robotech made its mark by being a cartoon that had very real adult themes of tragedy and love, on its surface it’s a Sci-Fi piece that prominently features giant robots. From the non-transformable Destroids and Bioroids to the massive transforming fortress/spaceship SDF-1 to its iconic transforming Veritech jet fighters, giant mecha acts as a center piece for the action in the series. For the first part Macross, the most notable imagery involves the Valkyrie fighters (able to alter between three forms, namely Fighter, Guardian, and Battloid) and the Zentraedi Battle Pods. However, throughout the course of Macross and subsequent chapters, various other forms of mecha emerge (not to mention the gigantic stature of the Zentraedi, heralding back to something out of Kaiju or Kyodai Hero). As the series progressed, you had Hover Tanks (Spartas) vs Bioroids and Cyclones and Alpha/Beta Fighters vs various Invid power armors (sequels and spin-offs notwithstanding). The advent of the Transformers films has set a precedent for giant transforming mecha which Robotech would likely borrow from, however, it would arguably do the brand well to avoid being too similar to keep itself as its own entity. In other words, it has a starting point and it shouldn’t maintain as such as an endpoint (also, for consideration, the Power Rangers film franchise is set to begin next year which is likely to also provide inspiration). The Robotech saga by design is something of a prolific series. When anime series began cropping up in the United States adapted for its foreign audience, an issue arose that Japanese series were at times shorter than the desired series length of its American counterparts. As with series like Captain Harlock and the Queen of a Thousand Years and later Voltron: Defender of the Universe, Robotech was made by combining several canonically unrelated shows (specifically, Macross, Southern Cross, and Mospeada, and later Megazone 23). However, by-and-large, Robotech is likely remembered best for its first installment which by itself is a sprawling adventure of love, loss, and war. In Macross, young flying circus trick pilot Rick Hunter surprises his “big brother” from the same circus in fighter ace Roy Fokker (head of the renowned Skull Squadron) as he prepares for the launch of the extra-terrestrial Super Dimensional Fortress One (SDF-1). Crash landing on Earth, the SDF-1 in essence brought an end to all global conflict when it revealed not only is humanity not alone in the universe, it was woefully inadequate to defend itself from alien conflict. Reverse engineered and transformed for use by mankind, trouble arises when the activated SDF-1 alerts the warrior species Zentraedi of its location plunging the world into a conflict for survival. Dragged into this sudden war, Hunter must abandon his innocence and become a soldier or face annihilation. Amidst this series of battles, a love triangle forms between Hunter and singing idol Lynn Minmay and bridge officer Lisa Hayes. 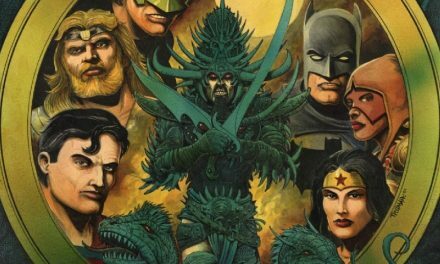 The idea of trying to condense such an epic into one film is not only daunting, it would be a disservice to its original story and the resulting product. 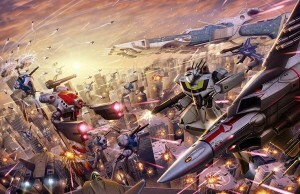 Especially considering it’s Warner Bros, perhaps a treatment like The Hobbit may work best for Robotech. Taking quite a bit of flack for the decision, Warner Bros. chose to follow-up its Lord of the Rings trilogy of films with a trilogy based on the book The Hobbit by incorporating elements of The Silmarillion (as well as notes and letters of author J. R. R. Tolkien). Regardless of such discontent, the decision proved to be a profitable one for the film studio demonstrating that depending on the circumstances, such a move could benefit it especially in the chilly climate of theater released movies today. Such an argument could be made for Robotech considering again Macross is the most remembered and beloved portion of the series and that covering so little of its thirty-six episodes would in essence cut the narrative off at the knees. Considering the serial nature of the animated series, beats of the overall narrative could easily be arranged into three films. 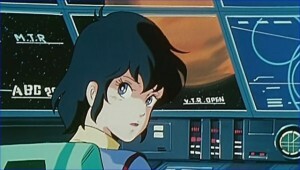 For example, such elements could include the SDF-1 activation/Zentraedi invasion, Rick Hunter and Lynn Minmay marooned in a section of the SDF-1, the arrival of Zentraedi commander Khyron while Hunter becomes a fighter pilot (quickly becoming a lieutenant with wingmen Ben Dixon and Max Sterling), Minmay becoming Miss Macross, and the capture/escape of Hunter’s group and Lisa Hayes for a first film. 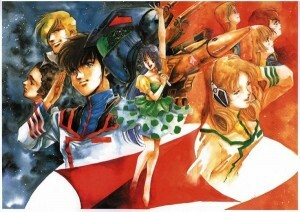 The second film could feature the introduction of Azonia, the Zentraedi’s infiltration of the SDF-1, the SDF-1’s return to Earth, the introduction of Minmay’s cousin Lynn, Hunter being critically injured, the introduction of Miriya, Roy Fokker and Dixon’s deaths, and the SDF-1’s banishment from Earth. 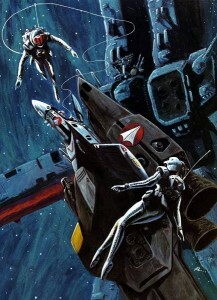 For the trilogy’s finale, it could cover Breetai’s return, Hunter and Hayes realizing their connection, the defection of Zentraedi forces, Sterling meeting Miriya, the Breetai Zentraedi faction truce, and the final battle with the remaining Zentraedi resulting in the SDF-1’s destruction (and sacrifice of its crew). Of course, if the three films do well enough, it sets itself up for another trilogy with the Robotech Masters and after that the New Generation. In a perfect world, you could even go in with films based on The Sentinels, Robotech: The Movie, and The Shadow Chronicles (which just scratches the surface of the massive Robotech universe, books written on the events preceding Earth alone with the temptation of the Invid Regis by Zor, the builder/designer/captain of the SDF-1 who created Robotechnology).